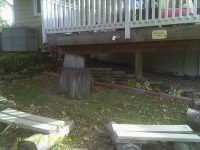 The creation of our outdoor classroom started 10 years ago and has grown into the second Certified Nature Explore Classroom in St. Charles County. The large play area has always been a favorite of the students and staff. To create a better childcare environment, we decided to pursue certification and use the love of the outdoors as part of our daily activities. The site has been arranged to be an integral portion of our curriculum. The children’s interests have guided us over the years. 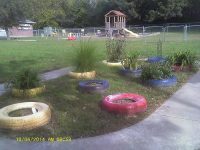 We started small with a garden using recycled tires for planting areas. 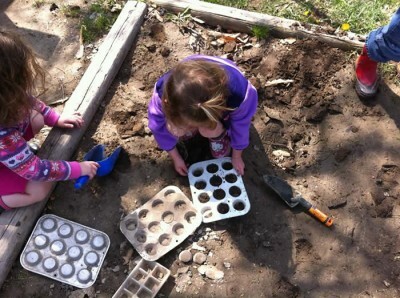 This expanded to a flower garden, a vegetable garden and more areas for learning. We replaced our climbing areas with wood and less plastic and we’re always looking at what we could use in our space. Our children enter our outdoor classroom by going past a garden fence. The big yard opens to the Climbing Area where jumping from stump to stump and balancing on a log encourage large motor skills to develop. The Messy Materials area leads to creativity and an understanding of how “things work”. The large tractor tire is a favorite hangout area for small groups of children using their imagination. The Nature Art Area is nestled under trees and is a popular spot for creating open-ended artwork. The Music and Movement Area is partially surrounded by a tree and fabric is draped in the branches above. Pots and spoons provide either soft or loud tempos as the singing is heard throughout the yard. The garden has a raised bed, a bean hut and stepping stones so the kids can really see how plants grow. The Big Movement Area is fun for running and kicking balls or rolling with large gym balls. Our Building Area table is using an old tree stump as the base and the kids can find all sorts of items to put together or figure out. 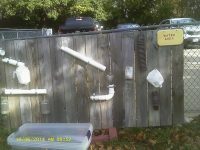 The water wall is made from wood and recycled bottles, drainage hoses and tubing. Sand Area is placed on decks so we are truly using the entire space for the children. We would like to thank our families who support our mission of nature. They planted in the spring making our entire year beautiful and interactive. Of course, I cannot go without thanking my husband, Jim and my two boys, Aaron and Joe who have helped us figure out how to make it all work. Future plans already include additional items of tire seats and a water pump. 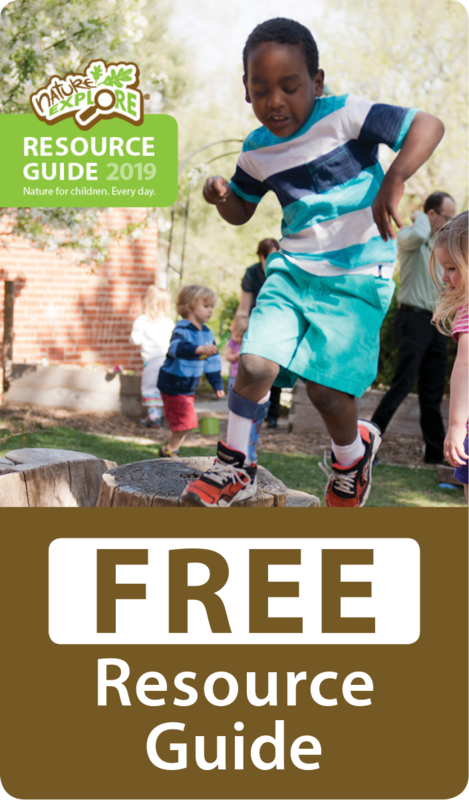 The uniqueness of this outdoor classroom is unmatched by other child care facilities and we are very excited to be the leader in this field. 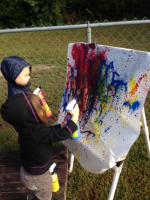 We are creating memories for the children at Little House and laying a foundation for exploration, discovery, creativity and a love of nature.